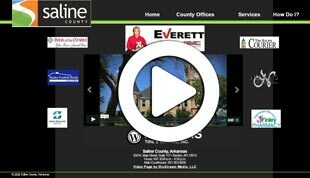 Welcome to Saline County, Arkansas, home to nationally recognized schools, championship sports, first class parks and libraries in a suburban/rural setting with a marvelous variety of shopping and dining amenities for your family to enjoy. Conveniently located in Central Arkansas along Interstate 30, Saline County is fifteen minutes from the Little Rock National Airport, thirty minutes from Hot Springs National Park, two hours from Memphis and five hours from Dallas. Saline County is experiencing dynamic growth, with our population booming nearly 40% in the last fifteen years, and our cities and county government have kept pace with solid infrastructure and public facilities that are second to none. Our economic base is strong and broad. A regional draw for shopping and entertainment, Saline County also has large and medium manufacturing and processing facilities and the infrastructure to transport goods and materials affordably. In addition to substantial rail and interstate highway access, our Saline County Regional Airport boasts a 5,000-foot runway and is primed for expansion. We are proud of our community, and we strive every day to make our local government efficient and responsive to our citizens. After all, we live here too!